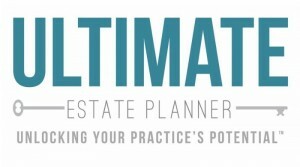 According to asset protection attorney, Jay Adkisson, the Cutuli v. Smith case is one that estate planners and those doing asset protection planning need to carefully study and understand, particularly where you get a client that wants you to do asset protection planning and has an existing claim against them. By Jay D. Adkisson, Esq. From Forbes.com, reproduced with the expressed written consent and permission from Jay Adkisson. Sometimes the Courts will “throw the book” at a debtor and all those who assist the debtor in hiding assets or defrauding creditors; this is such a case. Kathleen Ann Smith Cutuli (“Smith”) owed a $6 million debt to creditor Elie. To avoid paying Elie, Smith entered into a Pre-marital Agreement (a/k/a “Pre-Nuptial”) with her husband to be, Gregory Cutuli (“Cutuli”), whereby through that agreement, and a later Addendum to it, Smith transferred nearly all her assets to Cutuli thus leaving her with nothing for Elie to collect on. Smith then fled California following the judgment, and a bench warrant was issued by the Californa court for her arrest, with bail set at $100,000. Elie obtained charging orders against Smith’s company, Napa Smith Brewery & Winery, LLC (“Smith Winery”), and had a Receiver appointed for Smith. As part of the scheme to protect Smith’s assets, Cutuli sued Smith Napa County, California, Superior Court to quiet title to a piece of real property in California. Smith failed to defend, and Cutuli won a $10 million default judgment against her. Neither Smith nor Cutuli advised Elie of the Cutuli v. Smith lawsuit, but somehow Elie learned about it and filed a Complaint in Intervention, and became a party in that action. Elie’s Complaint charged that Cutuli and Smith had conspired to cheat Elie from collecting against Cutuli’s assets, including the California property, by way of making various fraudulent transfers. Settling in Florida, Smith then filed for Chapter 7 bankruptcy there, and Cutuli tried to use the automatic stay from the Florida bankruptcy in the Cutuli v. Smith lawsuit to stop Elie’s claims against him. However, the Florida bankruptcy court ruled that Cutuli’s claims against Smith were not covered by the automatic stay and ordered that Elie could pursue both Cutuli and Smith in the California action. When trial began of Elie’s claims, Cutuli started to testify, and then refused to appear back in Court. The judge held Cutuli in contempt, and issued a bench warrant for his arrest. With respect to the claim of privilege, the court found that documents within Trial Exhibit 190 and 191 had been redacted by Mr. Rupprecht prior to production, suggesting the documents were not inadvertently disclosed, and that many of the documents were generated by or provided to third-parties (including admitted non-client Greg Cutuli). The court further found that a sufficient showing had been made at trial that the services of Mr. Rupprecht had been “sought or obtained to enable or aid [one or more individuals] to commit or plan to commit a crime or fraud.” (Cal. Evid. Code sec.956). Specifically, the court found that based upon Mr. Cutuli’s testimony to date, documentary evidence of substantial transfers of funds to and from Mr. Rupprecht, evidence of Cutuli’s ongoing discussions with Mr. Rupprecht (during a time that Rupprecht represented Smith and Cutuli had pending lawsuits against Smith), testimony by Mr. Cutuli that he had sent large amount of money to Mr. Rupperecht (during a time that Rupprecht represented Smith and Cutuli had pending lawsuits against Smith), testimony by Mr. Cutuli that he “may have” provided funds to Mr. Rupprecht to be “held” in the attorney’s client-trust account, a review of Trial Exhibits 190 and 191 suggesting apparent documentation of trips and contacts in locations such as the Isle of Jersey, Isle of Man, and Cayman Islands, known to the court to be havens for off-shore banking, and Mr. Cutuli’s repeated impeachment at trial on these issues, there was sufficient evidence to support a finding of fraud with respect to the services being provided by Mr. Rupprecht. As such, pursuant to Evidence Code section 956, no privilege could be claimed. The Court finds that Cutuli conspired with Smith and each of the defaulting entity defendants to delay and defraud creditors, to destroy or hide evidence, to engage in abuse of court processes, and to harm Elie. It appears to the court from the evidence adduced that Smith’s counsel, Mr. Michael Rupprecht participated in activities to further said acts of fraud. It was not difficult for the Court to find that Cutuli and Smith had engaged in a fraudulent transfer. Among other things, the terms of the Premarital Agreement was that assets would be transferred at some future date, and not presently. Alternatively, the Addendum provided for no consideration for Smith’s transfers of assets to Cutuli, and there was an obvious intent to defraud Elie out of her collection rights. Similarly, the attempt of Smith and Cutuli to allocate all their debts to Smith by way of the Pre-Marital Agreement and Addendum was unlawful and unenforceable under California law, and also amounted to another form of fraudulent transfer. Smith had also transferred three vehicles to Cutuli — a Porsche, BMW, and Tesla, worth an aggregate of $340,000– for zero consideration, and just a few weeks after judgment was entered against Smith. It was easy for the Court to find that these transfers amounted to fraudulent transfers under the circumstances, and the Court entered judgment against Cutuli for the value of the cars. The court finds that funds were diverted by Cutuli and Smith with the assistance and use of various accounts held in the names of entities controlled by Smith and Cutuli which had the effect of transferring monies from Smith to Cutuli in an apparent effort to remove those monies from the reach of creditors. Specifically, substantial evidence demonstrates several large transactions between Kathleen Smith, Greg Cutuli and in many cases, Kathleen Smith’s counsel, Michael Rupprecht. When questioned about the transfers at trial Cutuli either denied their existence – only to be impeached by the documentary evidence, or feigned a lack of knowledge of the transactions. Cutuli admitted the transactions were genuine, but offered no legitimate, good-faith explanation for the transactions. Mr. Cutuli eventually admitted to taking funds from Smith, admitted that he acted as a conduit for Smith, admitted that he had an “arrangement” with Smith to handle her business affairs while she avoided an outstanding bench warrant, and admitted that he paid moneys to and received monies from Smith’s attorney – Michael Rupprecht. Cutuli also admitted he may have transferred money to Rupprecht in order to have the attorney hold those funds in the attorney’s trust account. The Court finds that Cutuli and Smith engaged in a fraudulent conspiracy to transfer funds away from the reach of creditors, to delay and hinder creditors and collection efforts, to fraudulently transfer funds to Cutuli and other entities controlled by Smith and Cutuli, and to hide funds. Next, the Court found that Smith and Cutuli had encumbered their home with a $1 million mortgage t avoid collection by Elie, and such also amounted to a fraudulent transfer. However, the lender — which apparently had no knowledge of Smith’s financial distress — established that it was a “good faith transferee” and therefore was no liable to yield its security interest so that Elie could collect on the equity. Elie had also sued Smith personally and the Smith Winery as her alter ego, and since both defaulted, the Court accepted the allegations as true. To get money out of the Smith Winery, Smith and Cutuli engaged in “three sided deals” whereby Cutuli was paid personally for moneys from the Smith Winery’s customers which should have gone directly to the Smith Winery. The Court held that these deals were fraudulent transfers, and ordered that the moneys be returned to the Smith Winery and placed into the possession of the Receiver. The court finds that there exists such a unity of interest and ownership between the entities and individuals that the separate personalities of each do not in reality exist, and there would be an inequitable result if the acts in question are treated as those of the entities or individuals alone. * * * Moreover, substantial inequity will occur but for the alter ego finding. Specifically, absent such a finding, Smith and Cutuli will continue to be able to play their shell-game of transferring assets between themselves and the various entities they control. The court finds that part of Smith and Cutuli’s conspiracy to avoid creditors, including Elie, involved using Cutuli’s lawsuit against his wife and co-conspirator as an instrumentality through which the couple could transfer assets from Smith to her husband. The court finds that Smith, while working with Cutuli to sell the couple’s business, while engaging in numerous cash transactions with Cutuli, and while large sums of money flowed to and from Smith’s counsel Michael Rupprecht, allowed Cutuli to enter Judgment against her. Because Elie was not a party to the judgment, he lacked standing to object to the entry of judgment or to attack the judgment by motion. (See e.g. Cal. Code Civ. Proc. sec.473(b).). The result was effectively a $10,000,000 blank check to Cutuli that would allow the couple to transfer Smith’s assets from Smith to Cutuli in furtherance of their scheme to hamper Elie’s efforts to collect on his Judgment. The court finds that Cutuli’s argument that the lawsuit, judgment, and amount of judgment were supportable were not credible. The court finds that extrinsic fraud exists with respect to the Cutuli-Smith Complaint, lis pendens, and judgment and that said complaint and judgment are being used as an instrumentality of fraud. Elie very creatively brought a lawsuit against Cutuli for abuse of process, urging that Cutuli’s lawsuit to quiet title was not brought for any legitimate purpose, but simply to cheat Elie by using the $10 million default judgment that Cutuli obtained (and which, as noted above, was set aside as a fraudulent transfer). The Court agreed that Cutuli’s lawsuit was bogus, amounted to an abuse of process. The Court specifically found that Smith, Cutuli, and their entities conspired to fraudulently transfer assets and conduct other acts, such as the filing of the bogus quiet title lawsuit, for the purpose of cheating Elie out of his collection rights. Moreover, that Cutuli had falsely testified at trial showed that the conspiracy was ongoing. Moving on to damages, the Court set aside various transfers form Smith to Cutuli, and entered judgment for compensatory damages for fraudulent transfers of almost $2.8 million, plus another $1.8 million in attorney’s fees, and $227,032 in interest — for a total of $4.8 million. The court finds clear and convincing evidence that defendants acted with intent to cause injury, that their conduct was despicable and was done with willful and knowing disregard of the rights of Elie. The court finds the defendants’ conduct was despicable and subjected Elie to cruel and unjust hardship in knowing disregard of his rights. The court finds the conduct of each defendant to be vile, base and contemptible such that it would normally be looked down upon and despised by reasonable people. The court further finds that defendants and each of them intentionally misrepresented or concealed a material fact and did so intending to harm plaintiff. The court finds the misconduct of defendants to have been part of a continuous pattern or practice and finds that each defendant acted with trickery and deceit.